Massive protests across the country, the steep cost of living, currency devaluation, concerns over inflation. 2013 has proven to be a challenging year for Brazilians as much as for foreign investors who once considered the country the darling of all BRIC nations. Still, Brazil’s record level decline in unemployment and its rising middle class with tech-savvy consumers are contributing factors to make the country a top destination for investments in Latin America. Brazil is the seventh-largest ICT sector in the world; the fifth-largest online market and the fourth-largest mobile phones market in the world. Smartphones users doubled from 9% in 2011 to 18% in 2012 and the country is the number one app developer in Latin America thanks to the nationwide entrepreneurship’s boom. In the last two years, the number of business accelerators jumped from 90 to 400. Players include private investors, the Federal Government, which launched an incentive plan to support startups, and large firms such as Intel and Microsoft which have recently announced investments in R&D and tech labs in different regions. 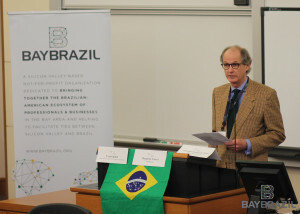 Brazil in the 21st Century conference will gather government representatives and private sector leaders to discuss technology, investments, entrepreneurship and the country’s role in the global economy. After hitting record numbers in foreign direct investment in 2011, Brazil has seen a sharp decline in its currency and asset markets. The government has recently announced reduction of expenditures by $4.5 billion and lowered this year’s economic growth forecast to 3% from 3.5% projected earlier. 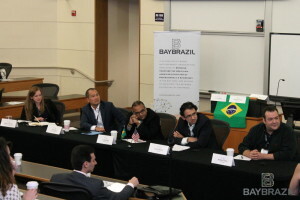 This panel of seasoned executives will discuss Brazil as strategic market for their firms, reflect on the impact of recent mass protests in the economy and offer insights on how the country can overcome major challenges to stay competitive in a globalized world. 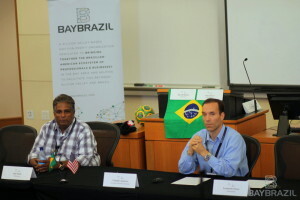 Presentation: Renata Quintini, Felicis Ventures, BayBrazil e-commerce Chair. Brazilians own over 227 million phones, making the country a fertile ground for the mobile industry to flourish. Smartphones users doubled from 9% in 2011 to 18% in 2012. As internet access proliferates in the country with over 88 million daily internet users, Brazilians are increasingly using the web to find discounts and purchase products, from electronic goods to home appliances and fashion items. As a result, the country has had an explosion in its e-commerce market, growing at a rate of 20% per year with total sales expected to hit $22 billion by 2016. The Biotech industry has been growing rapidly with many multinationals expanding to Brazil and several new start-ups in both healthcare and energy. The market opportunity for novel products emerging from biotech technology is very compelling but start-ups face funding challenges as there are limited pools of capital available to invest in emerging companies. However, significant progress has been made as a number of dedicated funds have emerged over the last few years to address this growing opportunity. 2pm Keynote speaker: Subrah Iyar, Co-Founder & CEO of WebEx, Founder of MOXTRA will talk about innovation, digital media trends and his company’s focus on the Brazilian market. 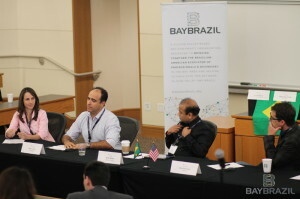 Brazilian companies have been very successful gaining scale, expanding internationally and finding liquidity in public markets both in Brazil and abroad. There have been over 50 IPOs in Brazil over the last decade across a number of different sectors. Investments by both Brazilian and foreign private equity funds have fueled this phenomenon, and the existence of several successful exits has built the stage for future opportunities. Brazilian tech startups are facing numerous challenges this year impacted by the macroeconomic conditions and the cost of doing business in the country. Yet, Brazil’s rising middle class with increasing purchase power and internet access continues to fuel the web market and a nationwide entrepreneurial boom. The panelists will talk about Brazil’s startup scene, how they are succeeding in that market and what are the challenges facing the innovation ecosystem. 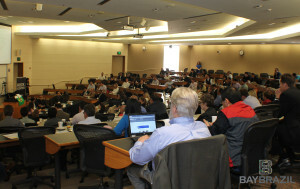 Our 2013 conference gathered a distinguished group of 23 speakers and over 170 people. It was a full day dedicated to information, analysis of trends in key industry sectors & exchange of ideas. We can’t thank enough all participants for sharing their knowledge and enriching our community! 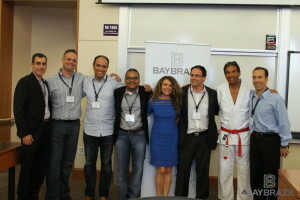 Big thanks to our speakers, moderators, attendees, our host Stanford Rock Center, the Consulate of Brazil in SF & BayBrazil members and volunteers. Special thanks to The Health Taste, Chappellet Winery, Crown Imports, Caio Villela & Luiz Barroso. Muito obrigada!